Nestled against the San Gabriel Mountains, Pasadena is one of the best-known communities in Southern California. This vibrant city counts nearly 150,000 residents and traces its roots back to the 19th century, making it one of the oldest communities in Los Angeles County. With numerous academic campuses, museums, and performing arts centers, Pasadena serves as a hotbed of cultural activity. Countless new residents call on Pasadena movers each year, as the population continues to grow and expand. Once home to the Tongva indigenous people, Pasadena was part of the Rancho San Pascual land grant given to Juan Marine in 1834. Following California’s annexation by the United States in 1848, Pasadena became a notable tourist destination, with many hotels and resorts springing up in the area. Much of this initial development derived from the pleasant local climate, which attracted wealthy tourists looking to escape the harsh winter in other parts of the U.S. In the many years since, Pasadena has undergone a number of evolutions. The community served an integral role during World War II, with a number of scientific research and manufacturing facilities in the area drawing additional residents to the community. Later in the 20th century, Pasadena found itself confronting a number of challenging population trends; the city has worked aggressively to turn this around and bring new development to the area in the new millennium. These development initiatives are in large part responsible for the city’s recent population growth. 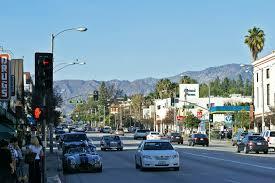 Modern Pasadena offers a diverse assortment of commercial, culinary, and recreational destinations to discover. Many associate the city with the Rose Bowl, one of the nation’s largest football stadiums, which is home to the UCLA Bruins and annually hosts the Rose Bowl Game on New Year’s Day. Other notable attractions in Pasadena include destinations like The Huntington, a sprawling research and educational institution with over 120 acres of botanical gardens. Furthermore, a number of college campuses dot the local landscape, including schools like Caltech, Pasadena City College, and the ArtCenter College of Design. For this reason, Pasadena has a large population of students. Naturally, an impressive array of retailers, eateries, and entertainment destinations surround these colleges, providing shopping and entertainment options for both students and other Pasadena residents alike. Many of the shopping opportunities in Pasadena can be found in Old Town Pasadena, which stretches across over 20 blocks downtown. Some of the most popular spots include shopping centers like The Paseo, an outdoor mall with over half a million square feet of retail space. A number of small businesses and national retail chains alike operate in the center and its surrounding neighborhood, making Downtown Pasadena a popular spot for retail therapy. Of course, it’s impossible to ignore Pasadena’s artistic spirit and the thriving artisanal trade in the community. Events like the Rose Bowl Flea Market bring together the city’s artists each month, giving visitors and residents alike the opportunity to buy one-of-a-kind goods from independent vendors. Pasadena’s undeniable appeal extends far beyond the city’s celebrated landmarks. Pasadena has a diverse population of families, young working professionals, and retirees, and the community truly has something to offer everyone. People from all walks of life and representing numerous demographic groups all call the city of Pasadena home. With the center of Los Angeles located a short drive away on the 110, Pasadena is a convenient destination for commuters. Other cities in the immediate vicinity include Glendale, Burbank, and Rosemead. A number of thoroughways crisscross the community, and public transit links provide alternative transportation options. The L.A. Metro’s gold line has six light rail stops in Pasadena; bus services are provided by Pasadena Transit and Foothill Transit, among many other local operators. If you’re looking for a moving company Pasadena to handle your big move, look no further than A&A Moving Company. Our team of specialists provides both residential and commercial moving services, and we have the expertise and experience you need to ensure a stress-free transition. 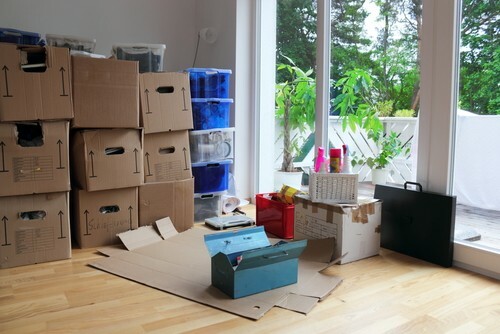 Moving is often a massive undertaking, but with the right support on your side, you can breathe easier and get the job done without the headache and the hassle. From packing your belongings to transporting and unloading your precious cargo at your destination, our Pasadena movers provide flexible solutions you’re bound to love. Unlike other moving companies, we never upcharge for things like mileage, elevators, or stairs, and we even provide free materials to protect your furniture. A&A Moving Company has served local homeowners and businesses since 1966, and we have an impressive track record of success. Don’t let just anyone handle your move; instead, partner with a moving company Pasadena that will put your needs first. Now that you have decided to move, its time to make the right call and contact A&A Moving Company, your expert movers in Pasadena CA (800) 349-5000.